> Is this the new Peugeot 508 sedan? 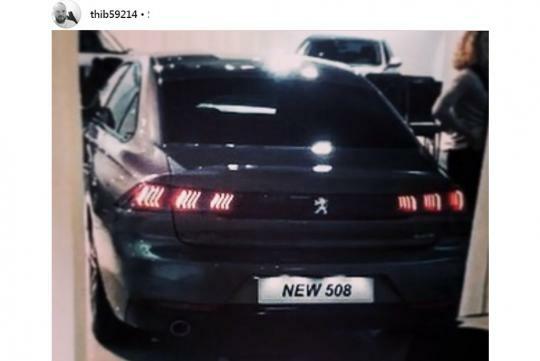 Is this the new Peugeot 508 sedan? Peugeot is said to be unveiling its completely new 508 sedan at the upcoming Geneva Motor Show next month. Here's how it could look like. Spotted on an Instagram user's page, the new french flagship sedan's rear can be clearly seen and we though the angular design that is similar to its recently launched 5008, looks pretty good to us. No details about the car has been revealed but it is rumored that Peugeot’s sister-brand Citroen, might reveal its own version of the large sedan.